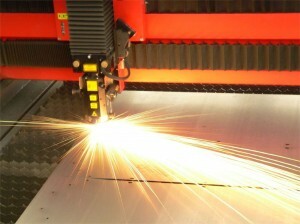 With our state of the art high powered lasers, we are able to provide our customers with precision cutting from prototypes through production. In utilizing laser technology we are able to lower your costs by eliminating molds, dies and set-up, increase accuracy and repeatability and improve edge quality by eliminating jagged rough and compressed edges. Looking to incorporate your logo on your merchandising displays? With our laser technology, we can personalize your custom signs, displays, acrylic plaques, trophies, and your laser etched photos onto glass, leather, wood and metal . We offer a wide range of products that can personalized for customized display or personalized gifts.